"If you had asked me two years ago, I would not have thought it was my responsibility. But I do think authors need to get involved with all sort of aspects of publishing and health of the publishing industry. This is not every man working for themselves, we need to think and work as a business. Authors have been protected for a long time, we are very well cared for, but we need to think about our other partners, from bookshops to publishing and self-publishing." 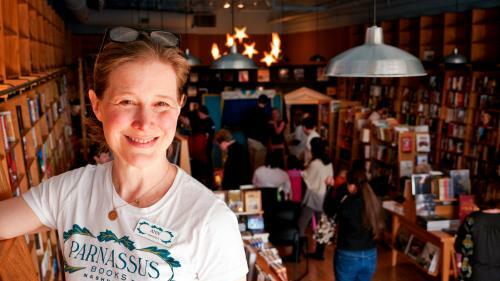 --Ann Patchett, author and owner of Parnassus Books, Nashville, Tenn., in an interview with the Bookseller. She has also written an essay, "The Bookshop Strikes Back," which is being sold exclusively through independent bookshops as part of the U.K.'s upcoming Independent Booksellers Week (June 29 to July 6). Authors are protected and well cared for? Where does this happen? How can I get there?